I showed you Isaac’s new Lego Table I made from a 1980s parquet table this week. He adores it and has spent every waking moment up there since he received a bunch of new Lego sets for his birthday last week. 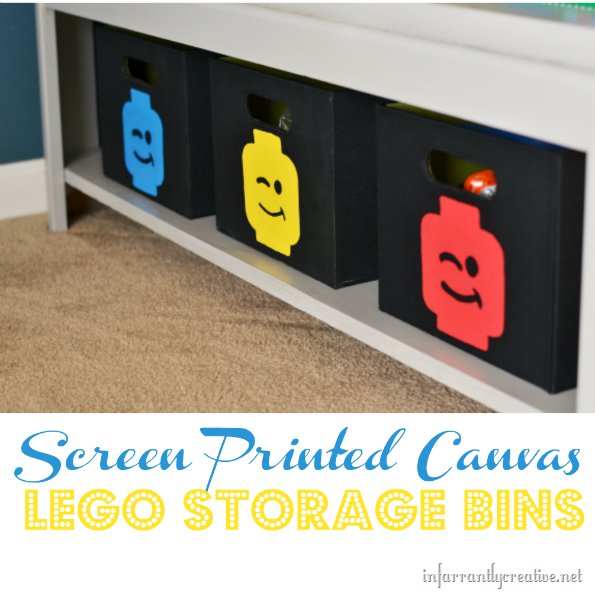 Did you notice those adorable little Lego head bins? Nope I didn’t buy those.